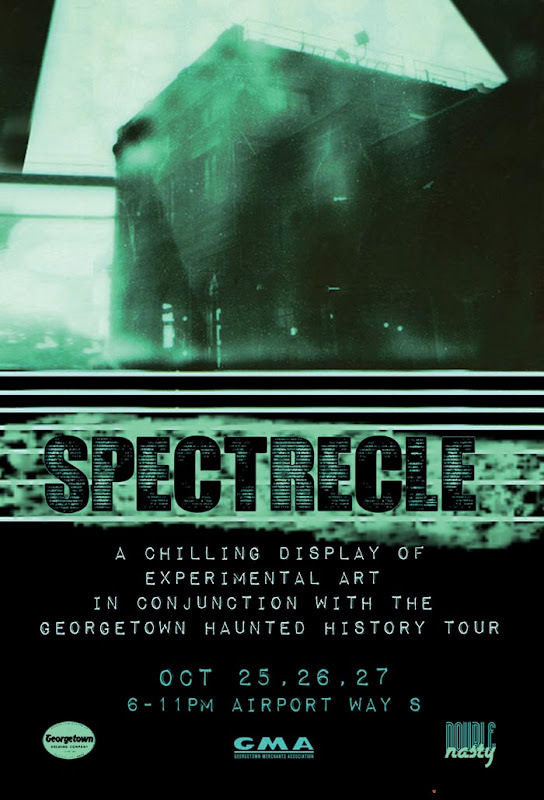 Amanda Michele Dellinger and James Caudle of Double Nasty are pleased to present Spectrecle, an outdoor display of multi-media and performance arts inspired by Halloween and history, in conjunction with the 8th annual Georgetown Haunted History Tour. Visitors will be thrilled with our display of monumental projections, light and sound installations, and mobile arts and performance. Here’s a sneak peak of the November Art Attack card. Obviously a traditional Thanksgiving turkey just wouldn’t fly in Georgetown, am I right? Our musical chimp friend can be nuisance, and maybe a bit creepy, but he is definitely a snappy dresser. And Airport Way South is so lovely this time of year. 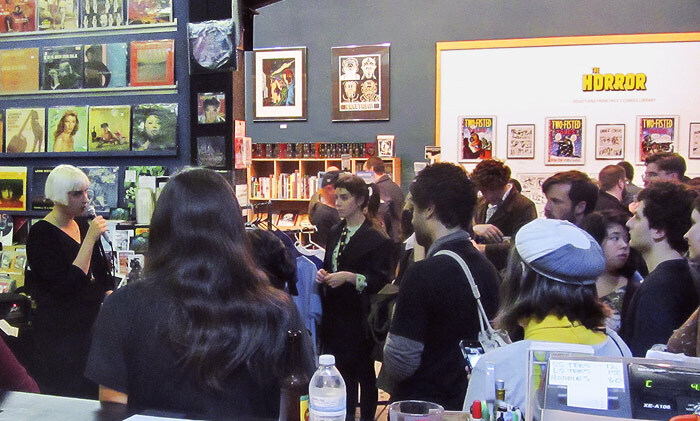 Recording artist Molly Nilsson performs at Fantagraphics’ “The Horror: Selections from the EC Comics Library”. Jeremy Eaton’s “Apopalyptic America” at One Night Stand. “Ouija!” at Krab Jab Studio. 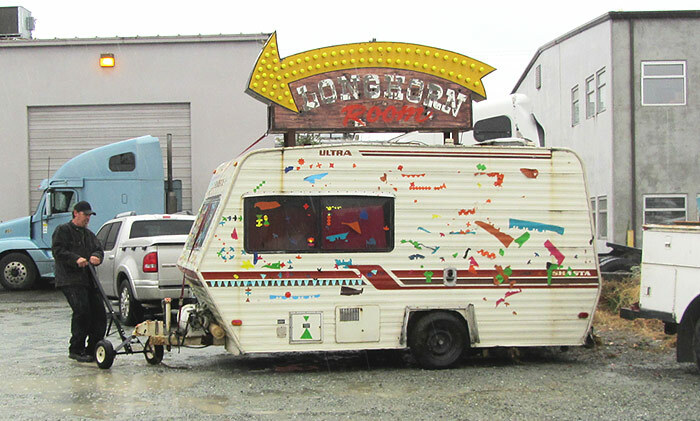 The Georgetown Trailer Park Mall has relocated, just around the block! 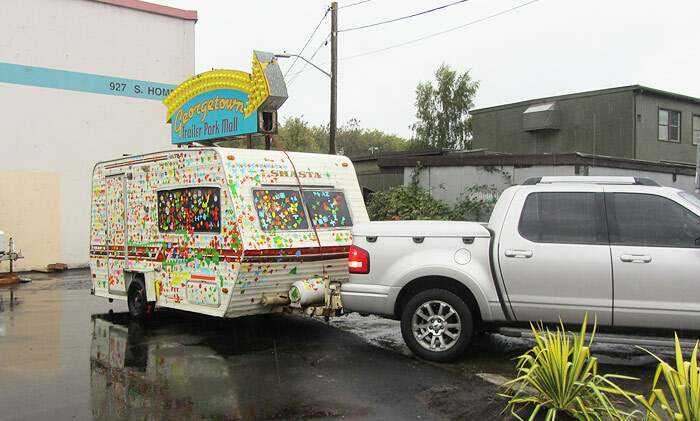 Their new address is 5805 Airport Way, between Doris & Homer, next to the Georgetown Arts & Cultural Center. Will be open again this Saturday. Also gearing up for extended hours, just in time for the Holiday Season! 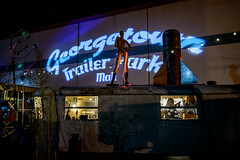 Georgetown Art Attack: Come Visit our Local Haunts, if You Dare! 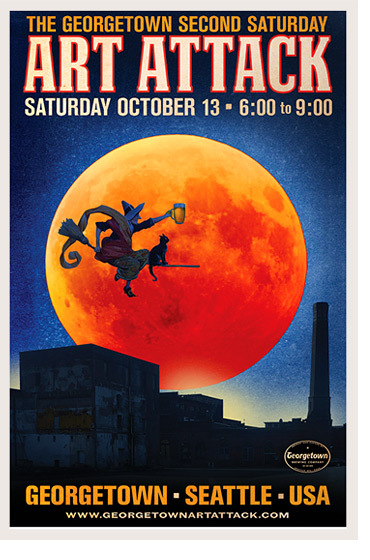 Start off the Halloween season with our monthly Art Attack art walk Saturday, October “Lucky” 13th, 6 – 9 pm. 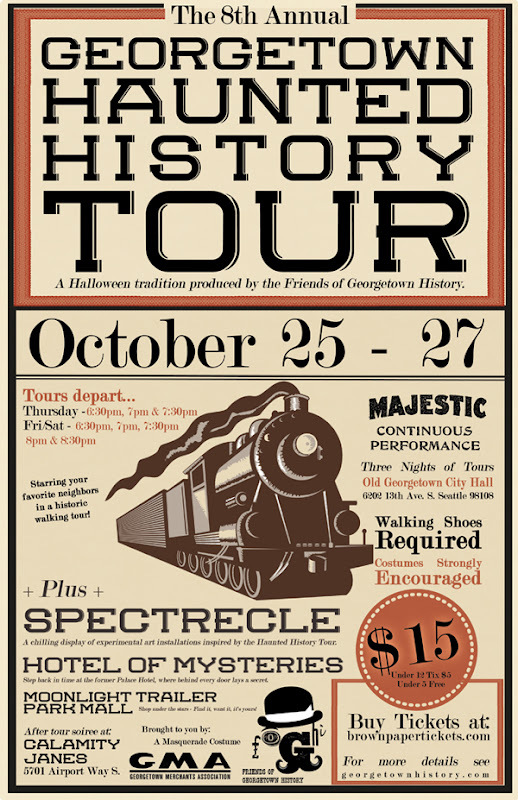 If you like what you see (dead people), consider coming back for our 8th Annual Georgetown Haunted History Tour October 25, 26, and 27. All City Coffee pleased to present “Souvenirs”, paintings by Guy Merrill and ceramic wall reliefs by Jess Rees. 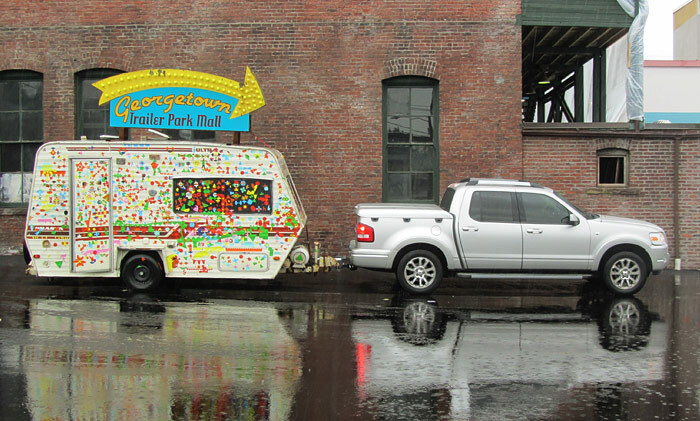 American Pie and Bakery is hosting a group show by over 14 Seattle based artists titled “Sugar Skull and Flour”. Tim Aguero: photographer. New photo documentary of south end neighborhood children. Gail Howard: oil painter, new works. Sublime stripes. Stacy Rosevear: oil painter, new work in progress. Plus copper plate etchings, a new departure! John Kirschenbaum: fine woodwork. “Would”. Betty Jo Costanzo: oil painter, all new! oil paintings from her Lake Chelan series with the projected video. Sarah Woodson: potter. Come see Sarah’s beautiful wheel thrown work, and her great mugs!. M. Anne Sweet: graphic design: View Anne’s provocative photos on canvas and her unique perspective on feminine themes. Syd Shera: ceramic artist, carving clay pumpkins and gourds, into lanterns! Boo! Tamara Clammer:leather and mixed media masks. Lots of new ones, Halloween is coming! Sophia Wheelwright: mixed media sculpture, plus a naturalist’s collection of goodies. Melinda Hannigan: oil painter, large new works in process, 6’ x 8’ ers, folks! Alair Wells/Trevor Gauntlett: metal sculptors/blacksmiths. 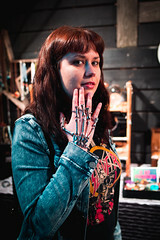 Tinder Hearts metal art and design studio open! Gauntlett Creative design studio open! Karl Seng: Unique lamps. From found wood and metal scrap designs, plus a naturalist’s love of fauna inspires other lamp designs. Fantagraphics Bookstore & Gallery presents “The Horror: Selections from the EC Comics Library”, featuring Harvey Kurtzman, Wally Wood and music by recording artist Molly Nilsson. Complimentary copies of Tales From the Crypt EC sampler available! Fonda La Catrina presents the surreal drawings and paintings of Don Farrell. Georgetown Arts and Cultural Center presents “All Saints & Sinners”: The 10 resident artists have created Day of the Dead /All Saints Day/All Souls Day themed works of art in honor of friends and family members who have passed on. Many diverse and unique artworks will be featured. 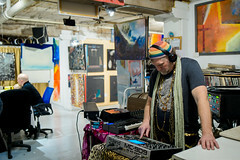 Resident artist studios open. 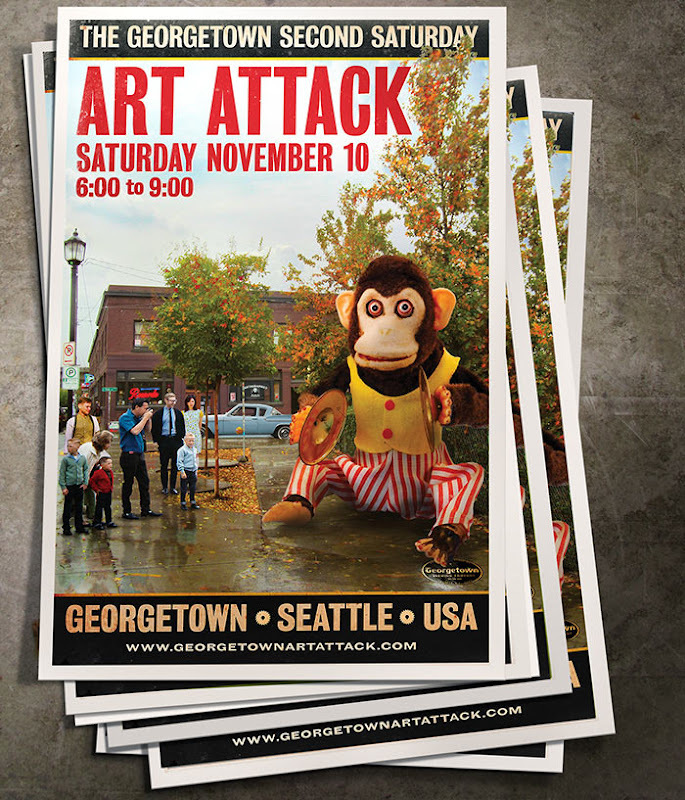 Georgetown Atelier hosts Draw Attack!, a free, fun art jam with a costumed 16th Century “Dangerous Beauty”. Come draw with us! Georgetown Trailer Park Mall Alien Abduction! 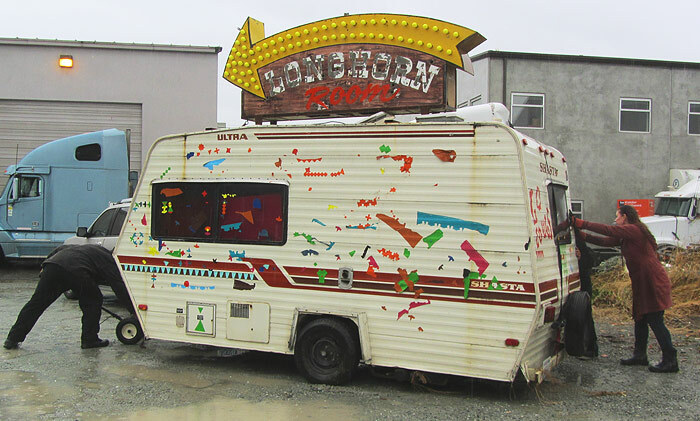 The Mysterious Disappearance of the World’s Most Unworldly Caravan! Prepare curious Earthlings and await in Wonder! Where will this Motley Crew reemerge? Clues to be found in the Outer Limits at the Trailer Park Cinema, hosted by the Big One Eyed Cat! Krab Jab Studio presents “Ouija!”, a group show revolving around the Mystical Talking Board. 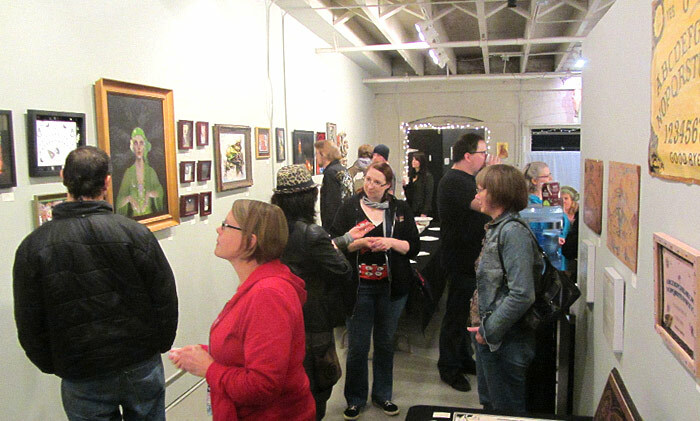 Artists represented: James Caudle (Caudled Milk), Ellen Miffitt, Valerie Warden, Javier S. Ortega, Laurie Lee Brom, Kyle Abernethy, Peter Pan, Heather Hudson, Daniel Gelon, Matthew Hinshaw, Margaret Organ-Kean, Yvette Endrijautzki, Drew Tucker, Melissa A. Benson, Larry Reid & Tim Silbaugh, and Kelly Lyles. Also featuring display of vintage boards. 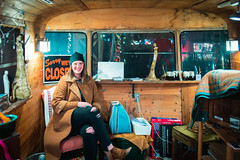 Le’ Objects For The Home celebrates its first year! First 25 visitors receive a small gift of appreciation. Artist Anouk Rawkson will be showing “Midnight Toy Box”, a show with a dark sense of humor. Mary Tudor Studio features art with atmospheric, soul calming elemental visuals and Ferrell with visually stunning, spacial and abstract paintings in varying sizes and formats. Music by the incomparable Luscious Leopard Lips, Georgetown atmospheric music DJ with the long known Theremin synthesizer. Ferrell (of Mary Tudor and Ferrell studio) is showing a selection of paintings at Daimonji sushi bar, located in the Georgetown Center at the corner of Michigan and Corson Ave S, just west of Airport Way South. Make sure to stop by during Art Attack! The Nautilus Studio presents the dark & romantic acrylic paintings of Javier S Ortega. The Nautilus Workshop will present mysterious wood sculptures/games by James C Bassett. NuPasa will feature art by Emilie Shepherd and Patti-o-Furniture. 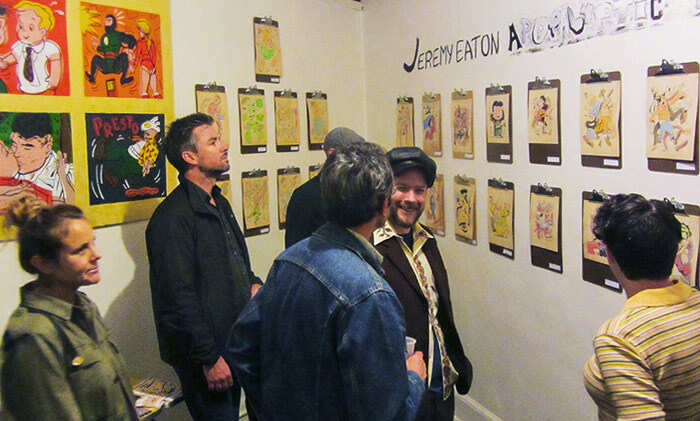 One Night Stand Gallery (directly above Fantagraphics) features “Apopalyptic America”, an exhibition of new works by Jeremy Eaton. The Roving Gallery …around the back of the Bottling Plant! Featuring the art of Denise Chandler Smith, Keli Sim DeRitis, Roxanne Fawcett and Janet Crawley. Acrylic, Mixed Media, Sculpture, Jewelry and ‘trick or treat’ treats! Sage Artistry presents “Facing the Furnace”, a collection of casted, fused, and enameled glass art created by Diana Stearns and Sherri Gamble. beep beep! 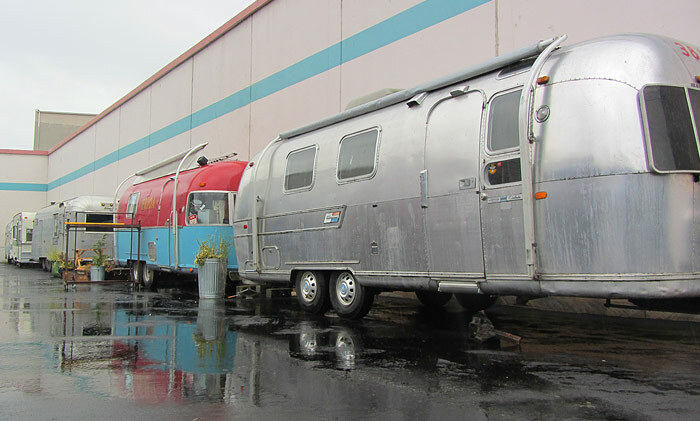 Cool your heels on the one and only Art Ride, the art walk bus serving Airport Way S, looping to Equinox Studios. Runs every 15 minutes, look for Art Ride Stop signs!